India and West Indies have been involved in some exciting encounters over the years. After successfully defending the Asia Cup 2018 and winning the tournament for a record 7th time, Team India's next assignment is a home bilateral series against a relatively inexperienced West Indies squad (still short of their major global franchise T20 players) across all three formats of the game. Serving as a warm-up for India's upcoming visit to Australia from November '18 to January 2019, India will host the West Indies for 2 Tests in Rajkot and Hyderabad, before switching to a 5 match ODI Series and lastly a 3 match T20I series. The series is scheduled to take place all through October and into November 2018, before the Indian team's highly-anticipated tour of Australia in what could be their best chance to win a Test series Down Under for the first time in their history. While India, the World No.1 Test side, are expected to be heavy favourites in home conditions against the Windies, the West Indies have slowly been putting together some good results over the last twelve months, and will definitely pose a challenge to India in some areas of the game. Before that, however, here’s a quick look back at a selection of some of the most significant moments from India’s clashes with the West Indies; a rivalry that stretches back over 50 years of cricket with various phases in the evolution of both teams. 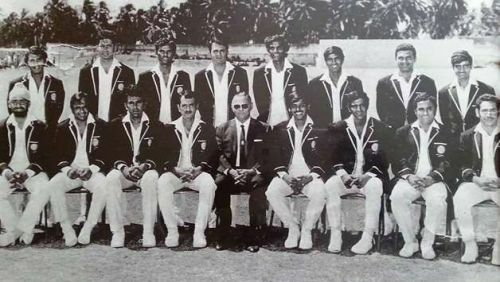 India’s first ever Test series victory against the West Indies in West Indies, captained by the late great Ajit Wadekar, was one of their greatest early accomplishments in cricket and one that will stand the test of time, given how the West Indies were by far the strongest side in world cricket back then. India won the second match of the series and managed to hold the mighty West Indies to a draw in all the remaining Tests to hold out for a 1-0 series win. This was also the series where the legendary Sunil Gavaskar made his debut for India and showed his potential to become India’s greatest ever Test opener; with four centuries and a double century in the series.